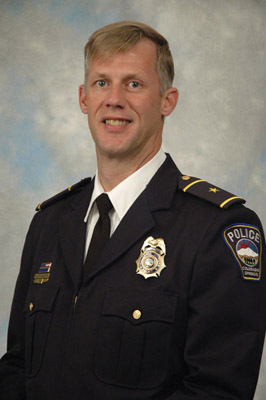 Thor Eells is a retired Commander from the Colorado Springs Police Department. He has more than 30 years of experience in all facets of policing to include patrol, investigations, special operations, training, and professional standards. Thor served the majority of his career in tactical operations. He has extensive experience in command operations and oversaw the successful law enforcement response and resolution of both natural and man-made emergency situations. Before retiring from the Colorado Springs Police Department, Thor was instrumental in leading a multi-discipline group that developed the department’s Community Response Team to address persons experiencing a mental illness crisis. In addition to his practical experience, Thor has extensive teaching experience having taught a wide variety of law enforcement classes for the NTOA. Thor has a long history with the NTOA to include representing the NTOA in the Department of Homeland Security's efforts to develop SWAT capabilities and testing as well as being one of the core committee members in developing the NTOA's National SWAT Standards. Thor was previously Chairman of the Board of Directors and a board member for seven years. He has also been recognized as an expert witness in federal courts. Thor holds a Master’s Degree in criminal justice from the University of Colorado and is a graduate of the FBI National Academy as well as The Center for Creative Leadership. Thor is the Executive Director of the National Tactical Officers Association.